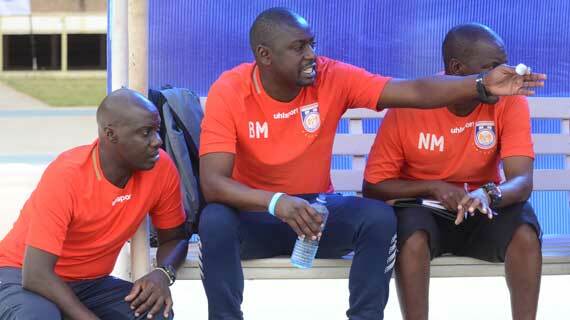 Bandari FC head coach Bernard Mwalala was the club’s turning point as they went on to finish second in the Kenyan premier League. When Gor visited the Mbaraki Complex on August 8, they were coming in on an unbeaten run, but a 2-1 final result to the advantage of Bandari saw that run come to an end. Mwalala says the win gave them the resolve to work harder hence attaining their highest ever finish in top flight football. “It was a good feeling because when they came here, they were on top of their game and doing very well in CAF Competitions. Before the game, I told my players that we only needed to go there and pick three points, without concentrating on the unbeaten run. It happened and it gave us the energy to move on,” the tactician stated. Mwalala was on Monday morning belatedly rewarded as the Kenyan Premier League coach of the month for August by the Sports Journalists Association of Kenya and sponsors Fidelity Bank having led the side to a flawless run. Before beating Gor, they had won 3-1 against Posta Rangers then also went on to win 1-0 against Tusker FC and Mwalala’s former employers Nzoia Sugar. “There was a lot of unity in the team and that was the biggest thing that helped me do well. We had very tough matches but the players worked so hard and we ended up doing well,” the tactician stated. Ahead of the new season, the tactician has challenged his players to emulate the performance they had last season and challenge for the title. He has brought on board defender Brian Otieno and keeper Mustafa Oduor from Nzoia Sugar as well as St. Anthony Kitale midfielder Moses Mudavadi. “We want to emulate performance we had last season. We want to start well in our first five games then from there we can forge forward and put targets for the new season. We are very lucky as a team that we haven’t lost any of our dependable players and I want to thank the management for helping us retain most of the players,” the tactician stated. Incidentally, Gor start their campaign against Gor on December 8 in Mombasa.